vii, 404, 4 p., 13 leaves of plates : ill. ; 19 cm. 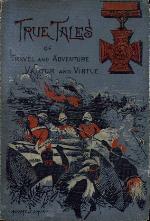 by James Macauley ; with thirteen illustrations. Title page printed in red and black ink.